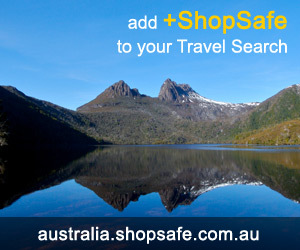 There are 20 shops in the ShopSafe USA Babies and Parenting Stores Shopping Category. BabyEarth is a baby products retailer and specialty store with an eco-friendly flair. They sell everything for babys' world under one roof including: strollers, boosters, diapers, clothing, nursery products plus much more. Gorgeous traditional Nursery and bedroom furniture for babies, toddlers and children. An extensive range of bedding, nursery accessories, rocking horses, doll carriages, high chairs, potty chairs and many more traditional baby products. It's important for parents to have some time out and if family are not close by Sittercity is a convenient option. It's a simple, safe and secure babysitter matchmaking site and it works both ways. Sittercity connects parents with caregivers in their area to give each side what they want - some time off for adults-only activities and access to a multitude of child caring jobs. With over 150,000 caregivers nationwide, using Sittercity is a quick and easy way for parents to find a babysitter/nanny to care for or supervise their children. Designer baby clothing, Books for new Mom's and Dad's, CD's and DVD's for relaxation, Memory Journals, Gifts, Diaper bags, Furniture and much more. For parents on the go these guys stock a fantastic range of strollers seating one, two, three and four babes. With loads of options - Stand-Ons, Buggy boards and gear that will keep baby dry and protected from the sun. They also have a large range of practical diaper bags, car seats, educational products and stroller accessories. Baby Jogger, Baby Trend, BumbleRide, Combi, InStep, Kidco, Maclaren, Safeline Kids, Baby Plus, Basic Comfort, Small Fry Productions, and Zooper. Chinaberry focus on the very best in kids' literature, fun and engaging educational games and children's crafts, meaningful toys that stimulate imaginations and are truly built to last - nice site worth a look! A unique mix of tried-and-true classics, hard-to-find breakthroughs, and parental time savers. Target is your one-stop Baby shop - Bedding, feeding, clothing, furniture, stroller and car seats, swings and toys and a whole lot more. Find all your favorite brands, such as Baby Born, Fisher-Price, In Step. Diapers.com have a selection of Pampers, Huggies, Seventh Generation and Cloth Diapers. As well as Infant Formula, Skin Care, Toys, Baby Gear and Much More. The Land of Nod specializes in children's furniture, bedding, playrooms, accessories and now baby gear. Shop for beds, bunks, bookcases, desks, play tables and chairs, cribs, dressers, wall dÃ©cor, kidsâ€™ bedding, rugs and much more. Fashionable and practical Diaper bags for Mom's and Dads, Baby carriers, Baby furniture, Strollers Car seats, plus a huge selection of toys and gifts from baby to toddler. All else failed? Let us help. If you want to see more Babies and Parenting Stores here, please e-mail babies@shopsafe.cc. Please do not change the subject line of your email. If the subject line does not contain "Add to ShopSafe Online Shopping" it will not be read.